As an interior photographer, you often find yourself setting up and styling a project for an architectural or interior design client. For me, styling is icing on the cake – an opportunity to enhance the creativity of the photography. The day starts early with a 7:00 am run to the Farmer’s Market for fruits, veggies and flowers. Then it is off to one of my favorite go-to prop stops, Johnny Mangoes. 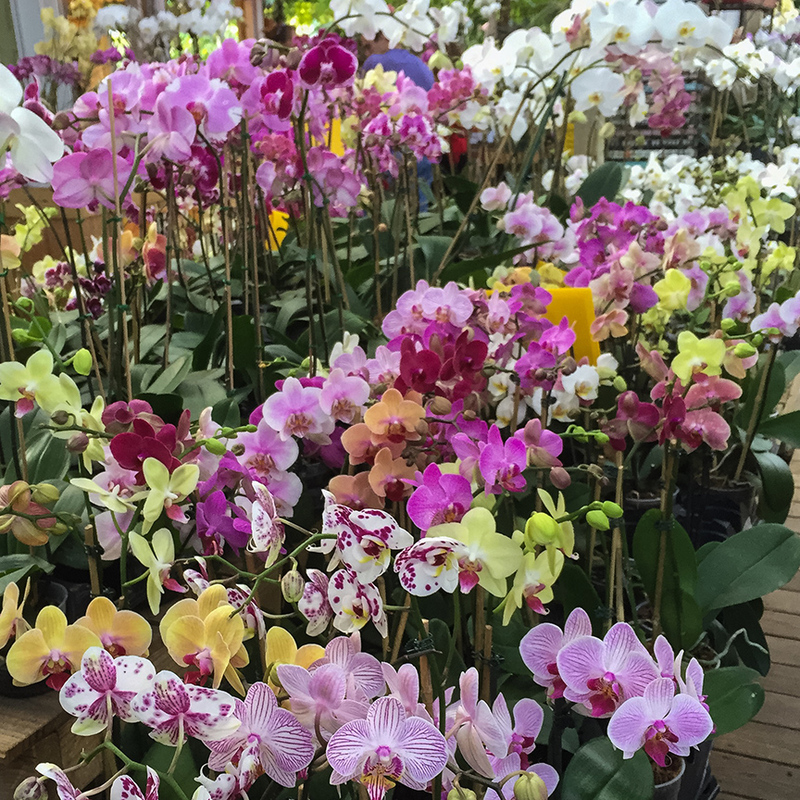 Sensory overload as I scan the vast array of orchids, blooming plants and accessories. Deep purple hydrangeas – perfect for the living room. Fresh herbs in small pots – perfect for the kitchen. Quick stop to smell the gardenias. Back to the studio to load props and equipment. 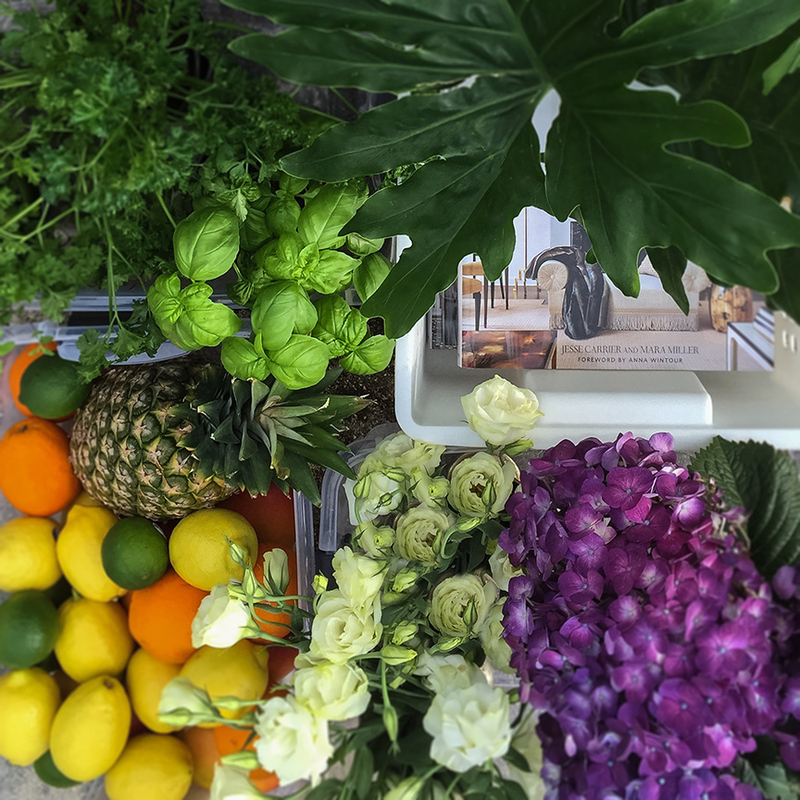 It’s a two vehicle shoot as the van is packed with photography equipment and the SUV crammed with flowers, fruit, plants, vases, books, and a seashell or two. 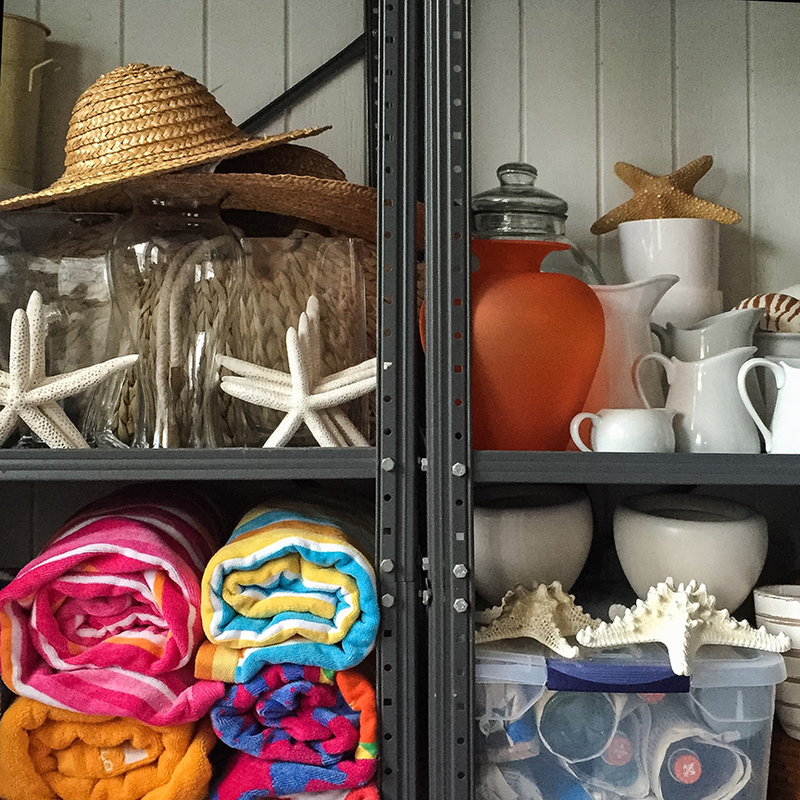 Over the years, we have acquired quite a collection of items that we use for styling from hats to beach towels and everything in between. 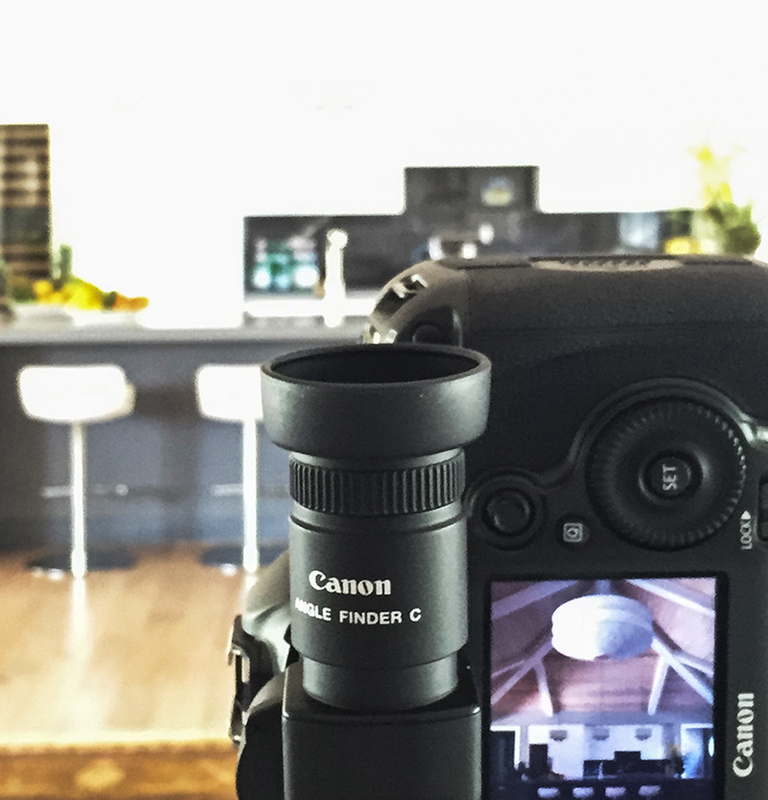 Today’s shoot is for a favorite architect. He has given us the keys to his personal home along with full creative direction. Starting with the kitchen, we remove personal items and add props – we want the kitchen to look lived in, but not too lived in. Test shots along the way for lighting, and prop placement. A good deal of time goes into setting up and styling an interior. Adding a pop of color, removing a chair, making room for a plant – all decisions that go in to the making of a stylized photo. It takes teamwork to get it right. A tweek here and there and finally, the perfect shot!